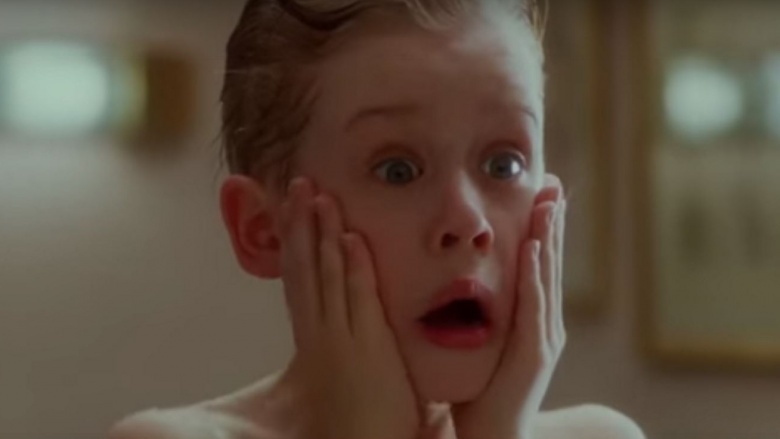 Home Alone is a Christmas classic. 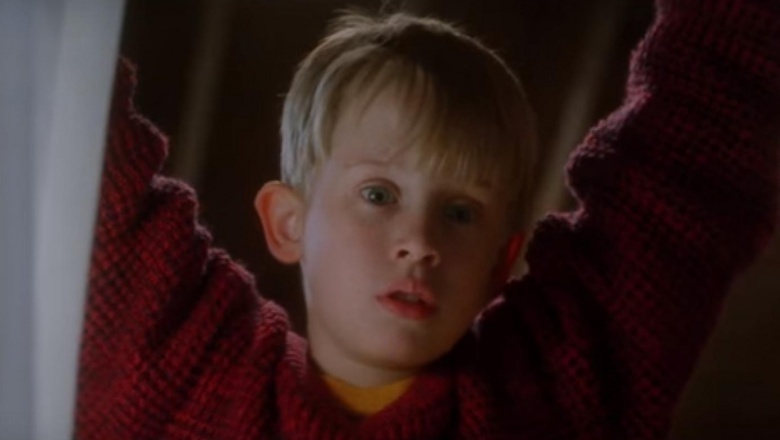 It tells the story of a young boy, Kevin McCallister, who is accidentally left behind when his family leaves for a Christmas vacation. 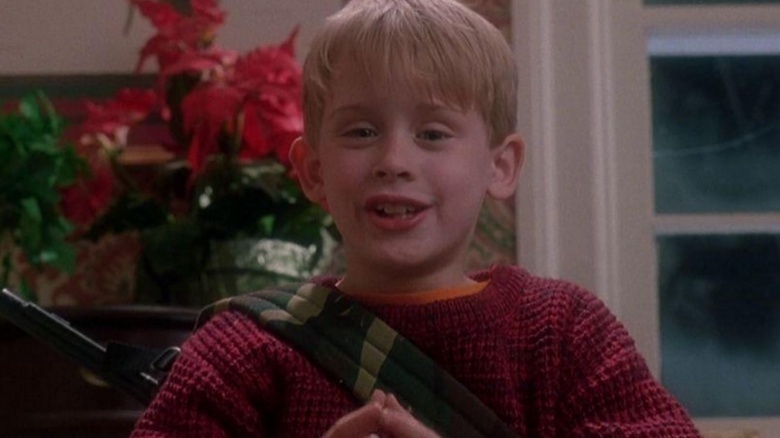 Even worse, two burglars have targeted the McCallister house while Kevin is living by himself! Kevin defends his house by setting up a series of traps for the bad guys in order to stop them from robbing the place. 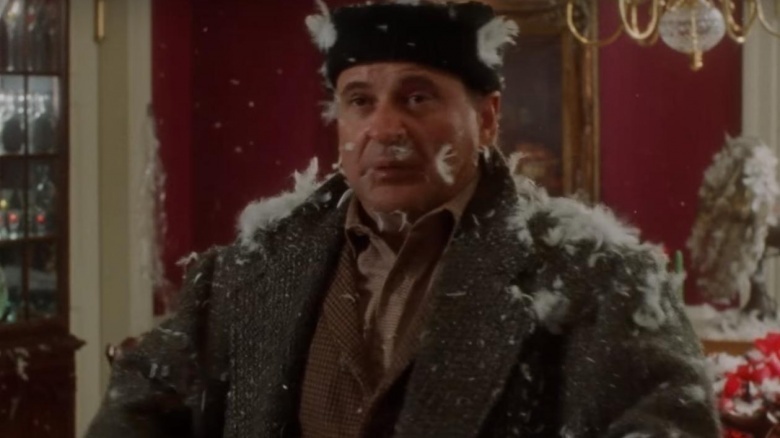 It's a great, funny holiday film, but it also doesn't make a lot of sense…here's why. As soon as Kevin's parents land in France, they immediately scramble to the phones and begin calling every single person they can think of back in Illinois. Kevin's mom, Kate, does the sensible thing and calls their local police station back home. When she tells the cops about her abandoned son, however, they barely respond. They send one police officer to the house, who knocks on the door and then arbitrarily decides Kate just can't keep track of her children due to no one answering. The cops simply decide to ignore Kevin's well being. These police officers find out about an abandoned child, who may or may not be hurt, and they shrug their shoulders and write it off because Kevin didn't come running to answer the door. It's no wonder this town has two crooks just openly wandering the streets and robbing houses in broad daylight. 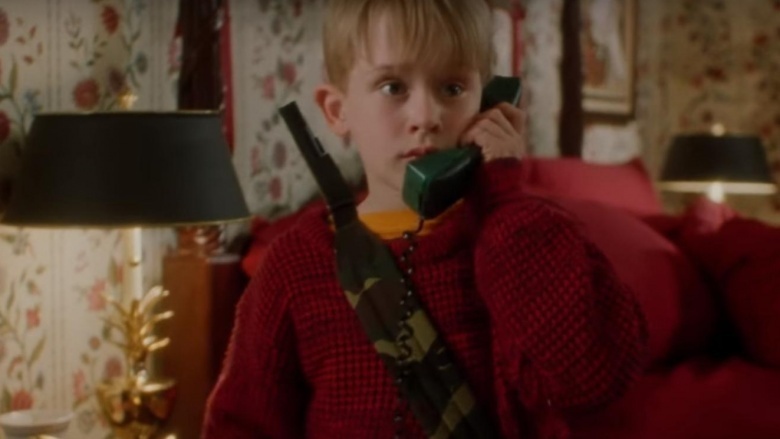 Kevin could have easily picked up the phone and called the police while making those elaborate booby traps for the gun-toting criminals invading his home. Seriously, what's wrong with this kid? 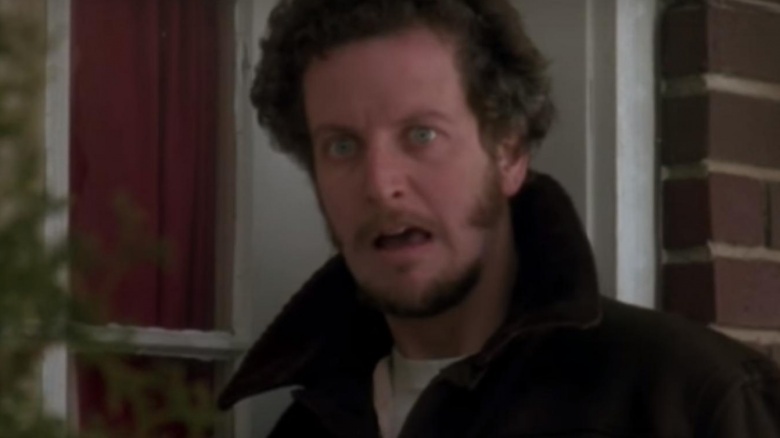 He overhears Harry tell Marv what time they plan to rob the house, and they show up at almost exactly 9 p.m., just like they said they would. Kevin only dials 911 near the end of the film after the crooks have made their way through almost all of his traps. Even weirder, when he finally calls the cops, he disguises his voice and tells them his neighbor's address. Why was that his plan? Did he think the cops would hear a child's voice calling for help on 911 and they wouldn't come? The cops in this town must really hate children. The oddest prank Kevin pulls is when he tricks the pizza delivery boy into thinking he's about to be executed. He orders a pizza, and when the delivery driver shows up, Kevin plays the audio from an old gangster movie to make the guy think he's talking to an adult. Tricking the driver is fine, but then Kevin stiffs the poor guy out of a tip. Kevin lets the audio keep playing to the part of the movie where one gangster kills another gangster in a hail of gunfire. 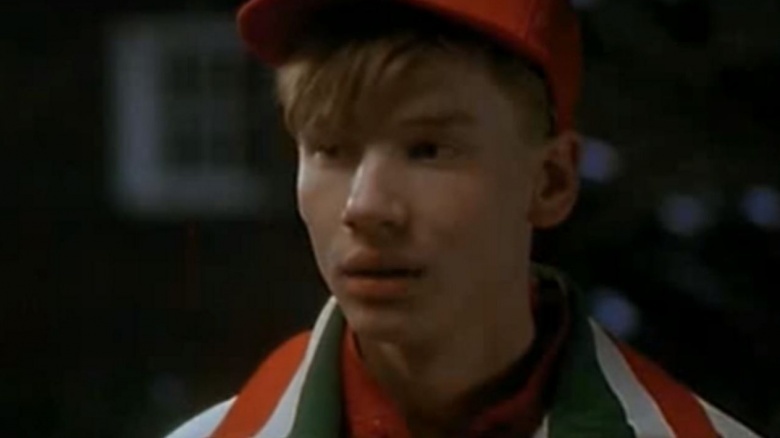 The pizza boy hears the shots and runs away in terror, thinking that some old guy is really trying to kill him. Shouldn't the driver have called the police? Apparently, this kid just went back to delivering more pizzas and never warned anyone about the murderer living in the neighborhood. While the pizza boy scene is weird, Kevin uses the same trick on Marv as he tries to break in the back door. It worked on the pizza boy because Kevin muted the TV's volume to only play certain parts of the conversation. It made sense that the pizza boy thought he was talking to a real person. However, when Marv comes to the door, Kevin just plays the movie without any editing. Has Marv never heard a TV before? Why would he take this seriously? 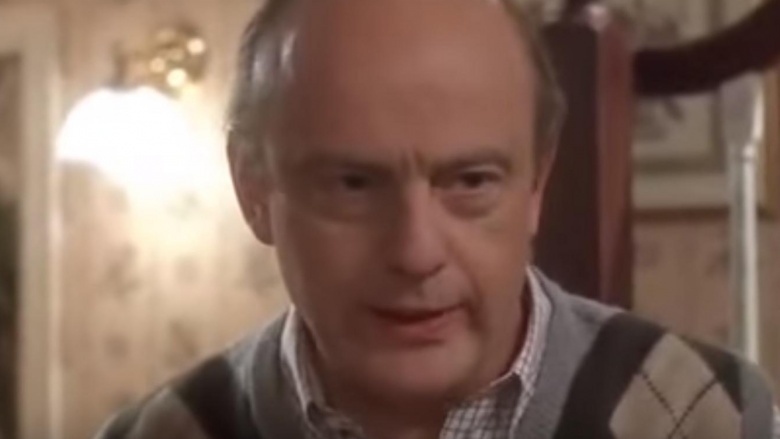 In the beginning of the movie, we find out that the extended McCallister family is awfully mean and dismissive to Kevin. Sure, it makes sense that he'd get picked on by his older siblings and cousins, but why are the older McCallisters bullying an 8-year-old? Uncle Frank is the absolute worst. 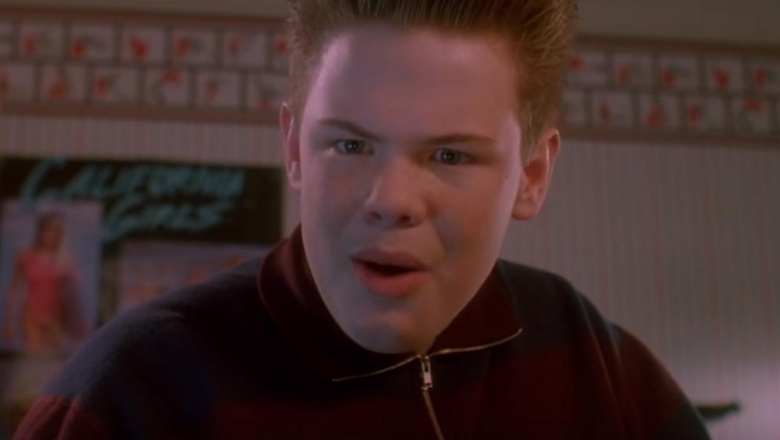 When Kevin gets into a fight with Buzz (who was pretending to throw up on Kevin, by the way), some soda gets spilled on Uncle Frank's lap. Frank jumps up and yells, "look what you did, you little jerk!" He screams that to an 8-year-old child, and nobody responds, not even the boy's parents. Kevin and Buzz have an excuse for getting into a fight, but Frank is a middle-aged adult with children of his own. Forget Harry and Marv, Frank should've been forced into enduring Kevin's painful traps. 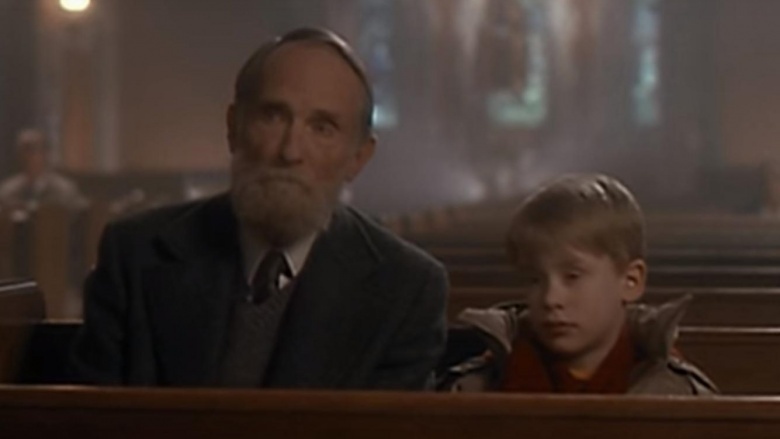 Children often exaggerate the stories they tell one another, so viewers aren't shocked to see Buzz telling his cousins and siblings that Old Man Marley is a serial killer. Buzz might even legitimately believe it. What doesn't make sense is that later on in the movie, when Kevin becomes friends with him, Marley mentions that there are a lot of rumors floating around town about him. Is this supposed to imply Marley knows that people think he's a serial killer but he doesn't care to correct them? This also suggests that it's not only the local neighborhood children spreading the murderer story. How would Marley know what the townsfolk say about him if he keeps to himself? How dark and twisted are the residents of this Chicago suburb? They're cool with having a local psychopath, and he's cool with people thinking that? 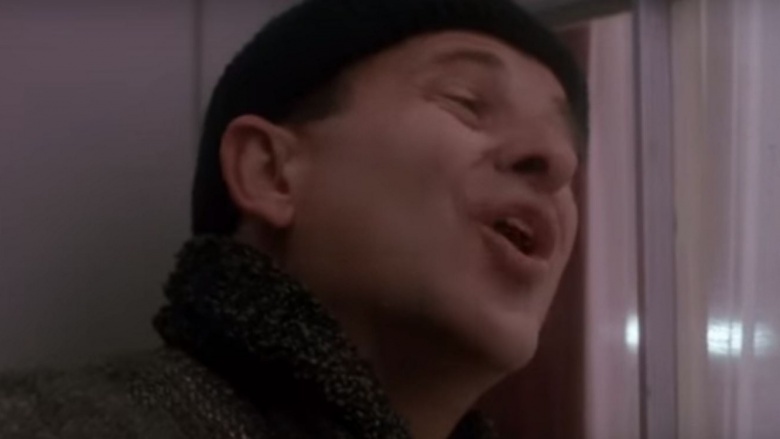 A major subplot of Home Alone focuses on Kevin's mom desperately trying to make it back to Illinois to reunite with Kevin. She barters for plane tickets, yells at countless desk clerks, and rides cross country in the back of a truck hauling a polka band just to make it home. She finally arrives just in time for a Christmas morning reunion with Kevin. Just a few minutes later, the rest of Kevin's family arrive. They waited for a later flight, meaning that Kevin's mom did all that work and wasted a ton of money to get home three minutes sooner. She really is just a terrible parent. In one of the first scenes in the movie, Kevin is asking one of his older brothers for help with packing his suitcase. His brother refuses because he's packing his own luggage. Then, Kevin's brother walks into the bathroom, grabs his toothbrush, and puts it in his pants pocket. Maybe this isn't the guy you want helping you pack, Kevin. He just put his toothbrush in the pocket of the pants he's wearing the day before he leaves. Who knows where he keeps the rest of his toiletries? It's one of the most famous moments in the entire movie, and a key part of the original advertising campaign — but it doesn't actually make a whole lot of sense. After he's been left alone, Kevin takes his time and enjoys a long bath to wash all his parts and crevices (his words, not ours). He says he used adult shampoo, and we see him putting on adult spray-on deodorant. Then he slaps on some aftershave and screams like it's the most painful thing he's ever felt. But … did he actually shave? Kevin gave a play by play of how he spent his shower, but never actually mentions shaving. Because if he didn't, there's no way aftershave should have burned that much. Sure, it can burn a bit, but not enough to let out a blood-curdling scream. The main reason why Kevin's mom has to rush back is because they can't get in touch with anybody back home to find Kevin. Did the entire town go away for Christmas? Kevin goes to school and even mentions that he has friends, so why can't his parents can call one of their families? What about any of the friends of Kevin's siblings? You would think the McCallisters could reach someone in Illinois to check up on Kevin, given the situation. The phone lines are down on Kevin's street, but they're working throughout town. The previously mentioned meanness of the McCallisters must not be exclusive to dealing with Kevin, because they all have zero friends in town. Remember how Harry and Marv kept falling down the outside stairs because they were covered with ice? Or how the basement steps were covered in tar and nails? Kevin's massive family should have come home to a death trap by the end of the movie. Even if all the traps were triggered by the Wet Bandits, there are still the ice and tar steps to worry about. Hopefully, Uncle Frank went down those stairs before anyone else did.